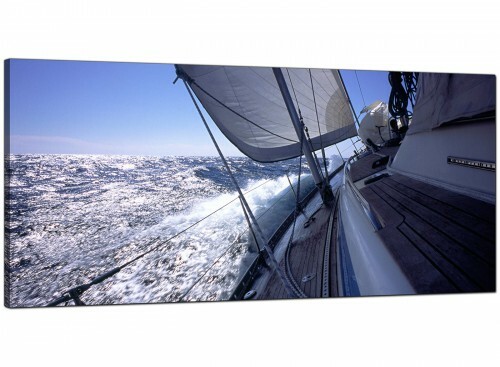 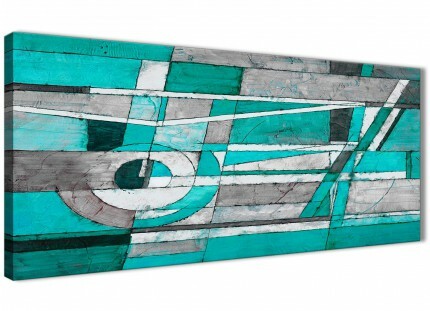 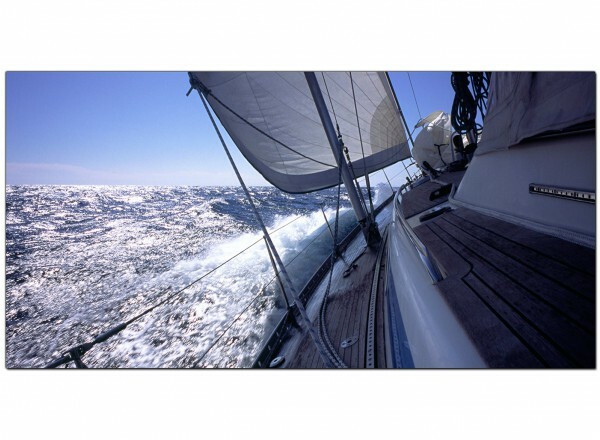 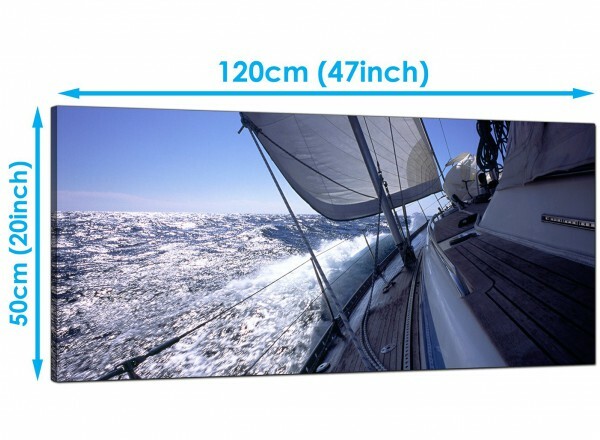 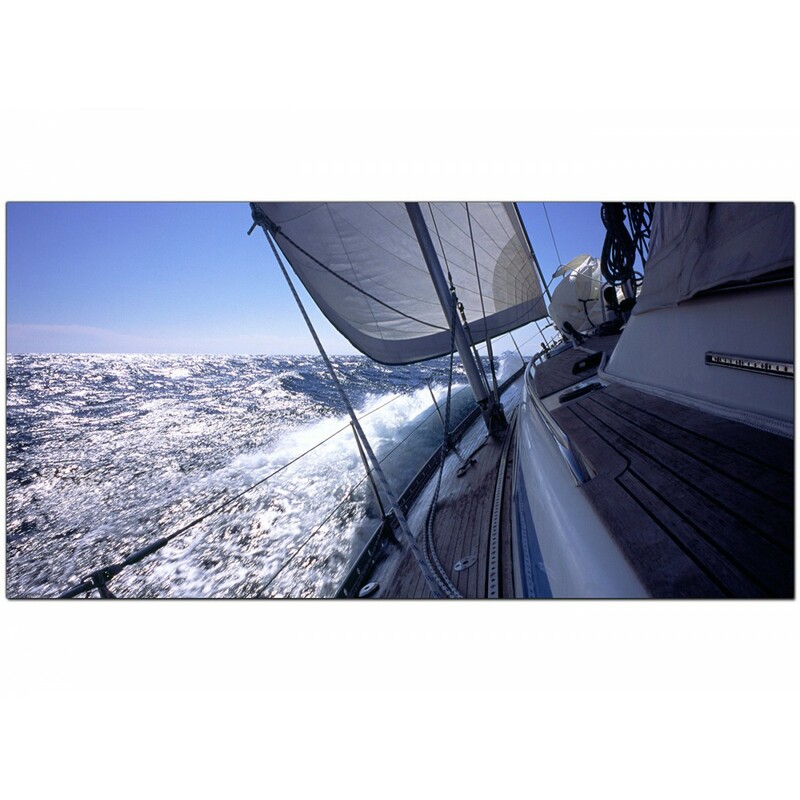 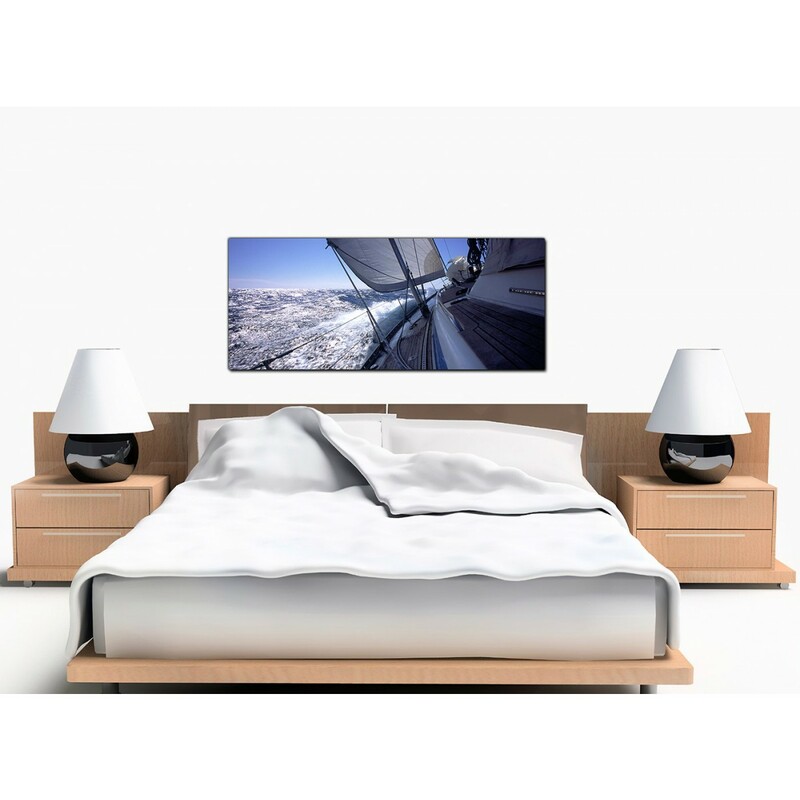 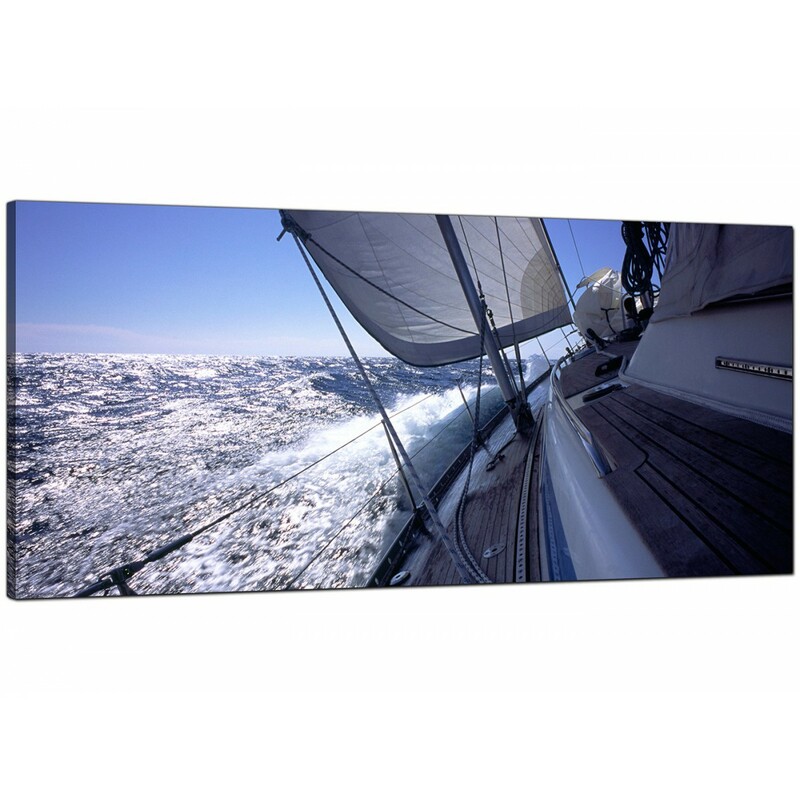 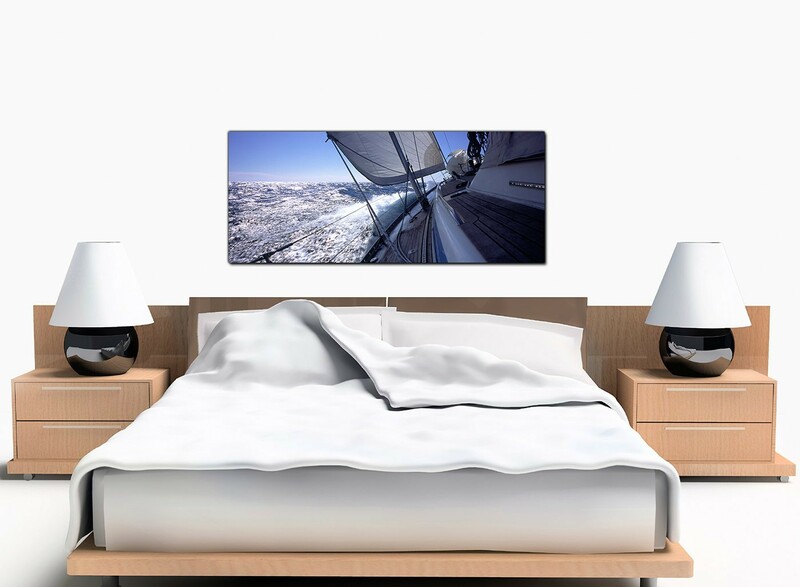 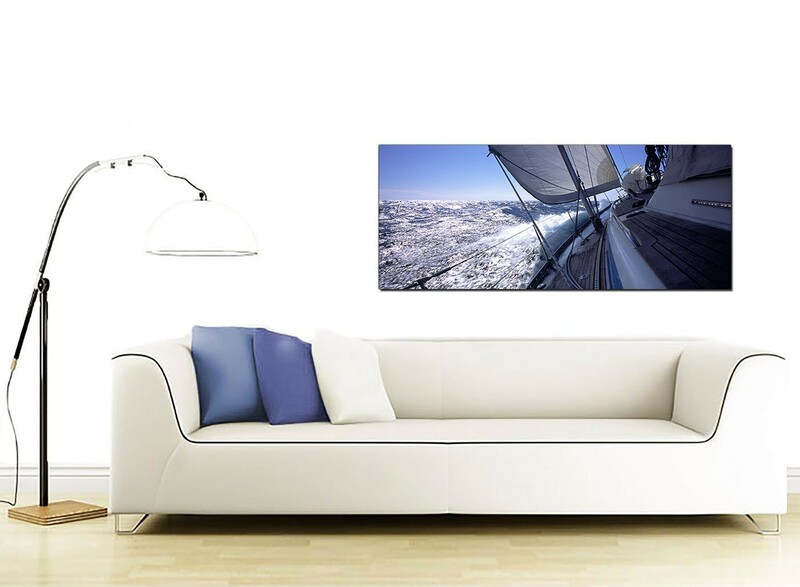 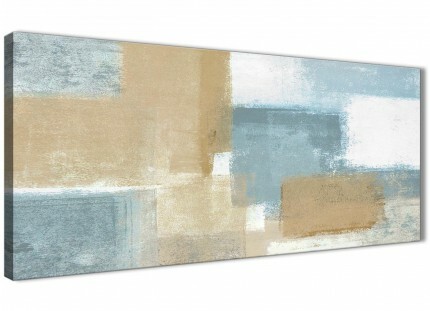 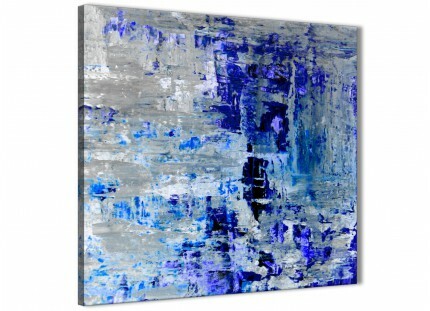 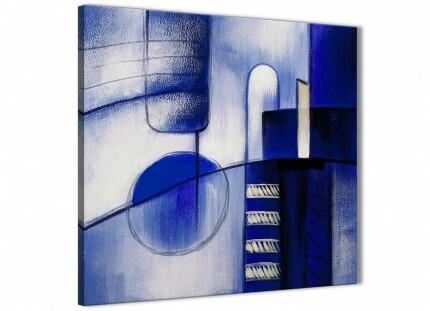 Panoramic canvases of a sailing yacht seascape in cool blue tones. 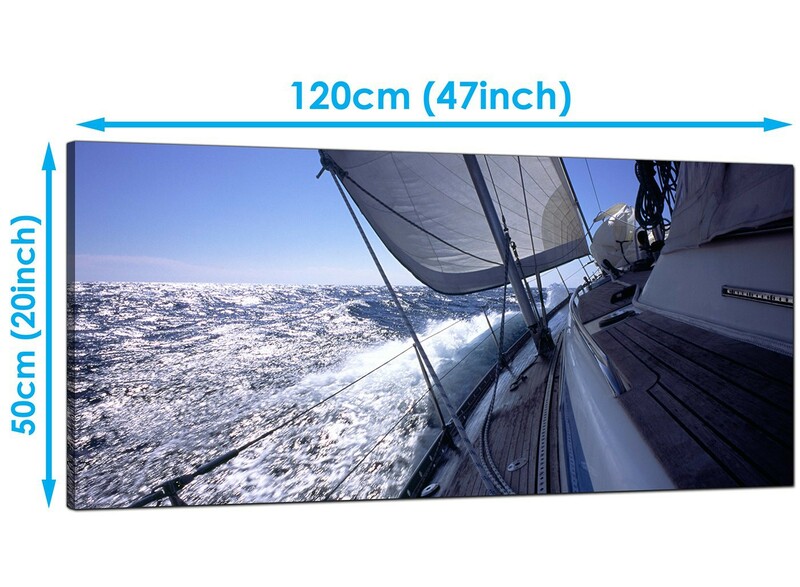 You won't be left all at sea with our comprehensive hanging template. 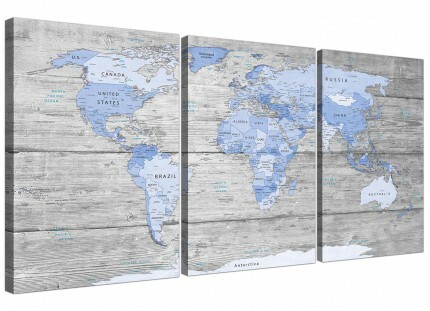 A huge blue modern panoramic picture. 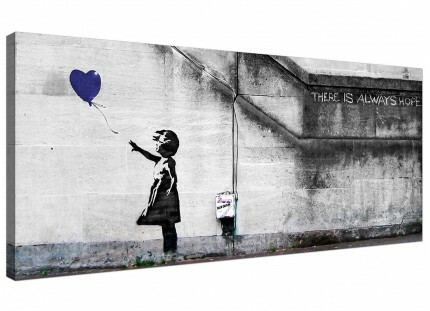 The United Kingdom's most reliable home artwork brand. Our images are printed at high resolution with fade proof inks. 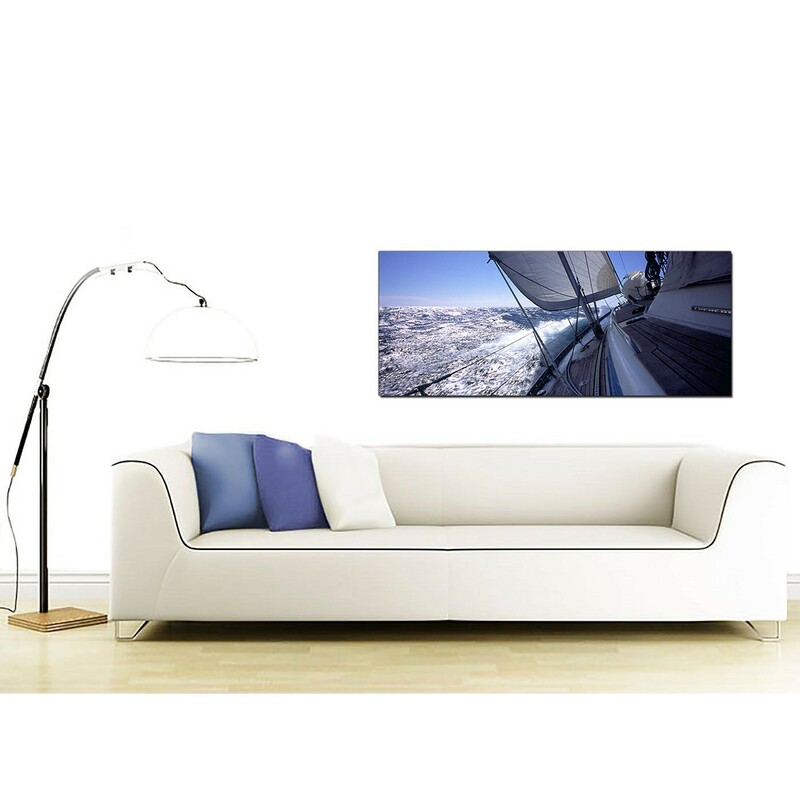 Great size for above your bed. 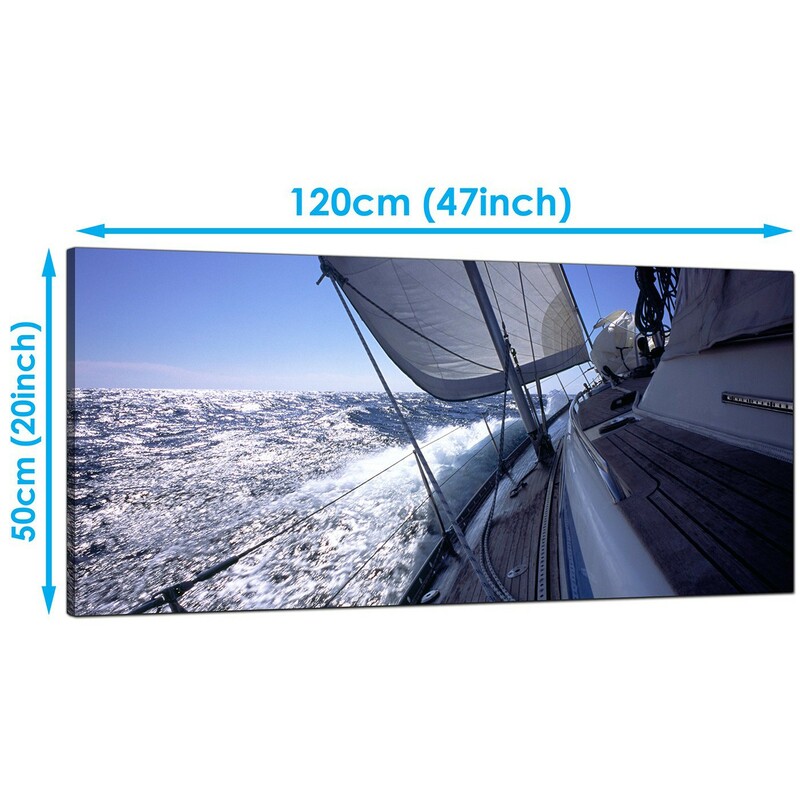 Measurements: 120cm x 50cm (47.2 inch x 19.7 inch).